Sure, they are fun pets and a good educational tool for your kids, as well as a great source of fresh eggs. But what do chickens have to do with the environment? 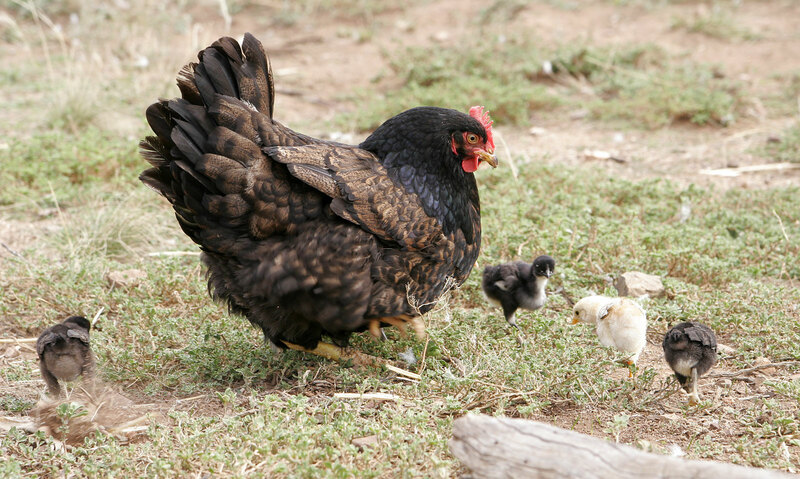 There are a number of ways that having hens in your backyard can be environmentally beneficial. Forget those nasty pesticides! Chickens are omnivores by nature and thoroughly enjoy chasing down plant-destroying insects like grasshoppers, grubs, beetles, and larvae. 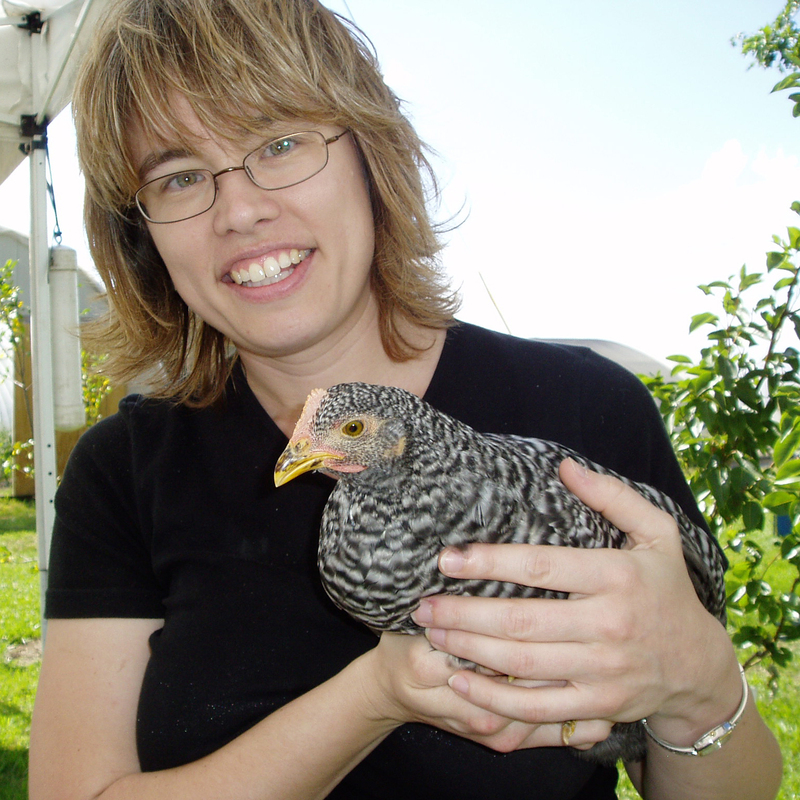 Betsey Miller and her colleagues at Oregon State University recently conducted a study with red ranger chickens to test the insect-finding power of poultry. They placed hundreds of insect pest decoys in leaf litter, placing some litter in the chicken pen and some outside. A day later, they examined both piles and recovered any remaining decoys. The results: all the decoys remained the control pile, but there were no decoys to be found in the chickens’ pile. The birds had gobbled them up! This study illustrates the chickens’ persistence in ridding an area of potential pests in a very short time. Many eco-minded individuals tout a zero-waste trash stream as an important part of their green living plan: no materials leave the home as trash to be added to a landfill. Many people recycle waste, repurpose materials, and compost their vegetable matter. Chickens can be included in this schema as well, helping to reduce the amount of organic waste. All the natural waste byproduct, better known as poop, comes out the back end of the bird to the tune of 1 cubic foot of manure every six months. While chicken manure can be messy, stinky, and just all-around not desirable, this “black gold,” as some call it, is very high in nitrogen. However, it contains ammonia, which makes it “hot” compost: it needs time to break down into a usable format. When mixed with organic “brown” material such as grass clippings and leaves, the waste eventually decomposes into nitrites (which are toxic to plants) and finally into nitrates (which can be used as fertilizer). This chemical process can take anywhere from six to nine months. The mature compost can be added to the surface of a flower bed or worked into the soil. So a flock of chickens can turn all that vegetable matter from your kitchen into highly effective, free fertilizer. Chicken feet at work! These feet are made for scratching—and ridding your yard of insect pests. While chicken manure contributes to your compost bin, the birds can enrich your garden in other ways—with their feet. 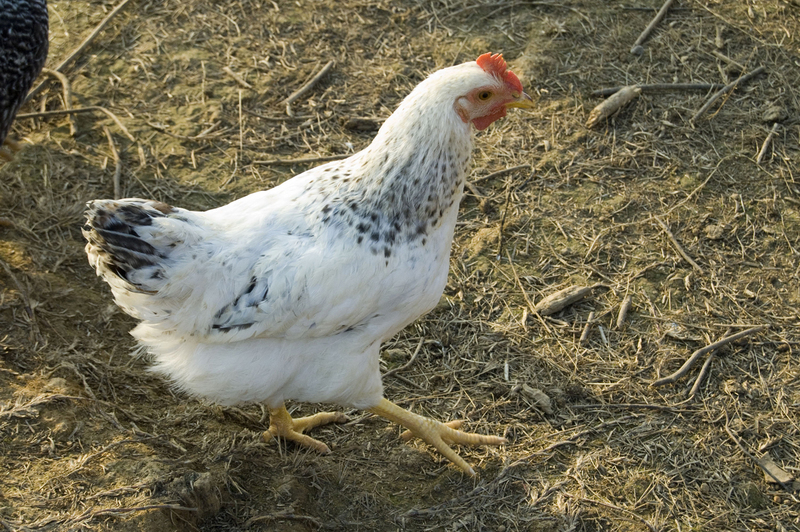 Chickens are ground birds, with strong, sturdy feet that are meant for digging and scratching in search of food. Turn your birds loose in the garden or on a raised bed and they will till the soil with their feet in search of grubs, worms, bugs, tender shoots, and other tasty tidbits. All this activity will turn leaf litter and dead biomatter into the soil while providing an easy aeration solution. If your soil is in need of a boost, put your chicken to work. When the birds have worked over a garden plot or raised bed, it will be tilled and ready to plant! 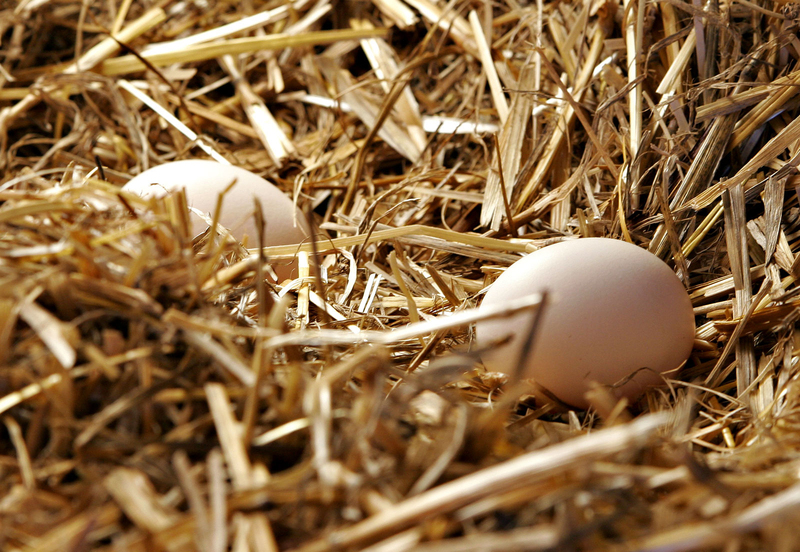 Envision an agribusiness egg farm with stack upon stack, row after row, of hens in cramped cages. You’ve no doubt questioned the system and its humanity and sustainability. Chicken houses produce tons of manure per year, and the hens who live in these barns may be force molted to keep up egg production by withdrawing food and water. These barns are considered concentrated animal-feeding operations, and the U.S. EPA cites them as being “a significant source of water pollution.” In addition, the air around these farms “can be odorous,” and the nitrogen can leak into bodies of water, causing algal bloom and destroying the natural habitat. The best benefit of backyard chickens—the eggs! Backyard chickens provide a better alternative to the excessive environmental impact of factory farming. Compared to a factory farm, backyard hens produce a fraction of the manure in a much smaller footprint. You can handle their waste properly, returning it to the environment in an eco-conscious manner. If the coop is kept well, there will be little to no odor. In addition, the birds will also be happier and healthier. Their eggs, too, will contain better nutrition due to the birds’ ability to forage and eat a varied diet. Chickens, like most critters, are at their happiest when doing what comes naturally to them—eating veggies and bugs, digging in the dirt, pooping, and living a happy, carefree existence on the open range. So consider adding these delightful birds to your garden as part of an eco-conscious living plan. You’ll be thanked with hours of entertainment and the best eggs you’ll ever eat! Join us on World Environment Day, Saturday, June 4, 2016 and come learn more about keeping backyard chickens!